Stunning 14kt white gold ring with 2 center round brilliant cut diamonds, total weight 1.50 carats, and twenty side round brilliant cut diamonds, total weight .30 carats. 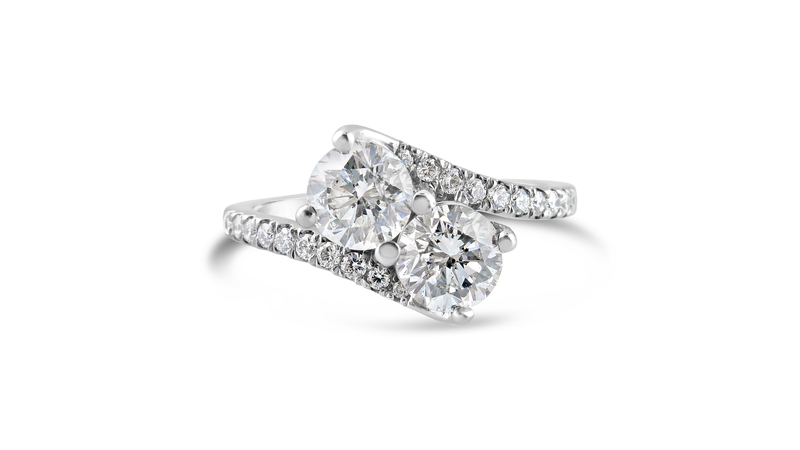 Price based in the 2 center diamonds’ quality. Can be made with different size combinations and metals.